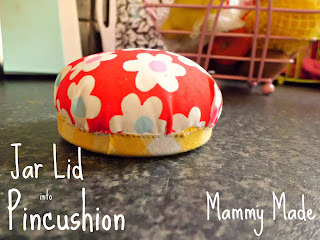 Today I’m going to share a jar lid pincushion that I made recently as a guest post for Be Your Best Mom. 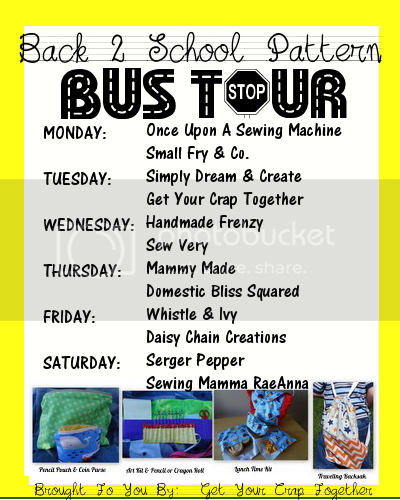 Before I show you how to make your own, let me tell you why I needed a new one. One day we were all sat happily around the table eating broccoli and feta soup when Leyla decided there was far too much peace in the room. 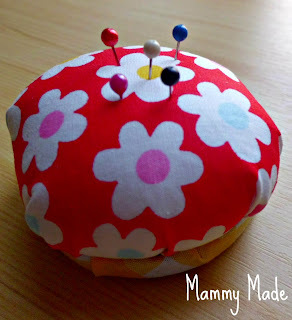 She picked up my (old) pincushion (which, to be fair, I probably should’ve tidied away before dinner) and dropped it all casual like into her soup! Yeh, she can be very naughty. But she’s cute! She takes after her Dad lol. So there was me with no pincushion and my pins all full of soup. It’s funny now looking back but I was far from impressed at the time! I was planning to make a simple square and stuff it, not unlike this one at Paper. String. Cloth, but then I decided I wanted something with a bit more stability on the bottom. That’s where I came up with the idea to use a jar lid. Ooh, while we’re on the subject, let me tell you another (creepy) story about making this. I got my jar lid out of the cupboard but it smelt like curry (it was a curry jar lid). 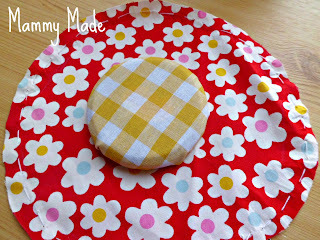 I washed it and put it on the draining board and went to gather my supplies. When I came back for the jar lid, it had gone! Like literally disappeared. There was only me and the babies in the house and they were both napping so I knew they hadn’t taken it. I searched my kitchen for a good half an hour and even looked in the other rooms just in case I had for some reason taken it through. 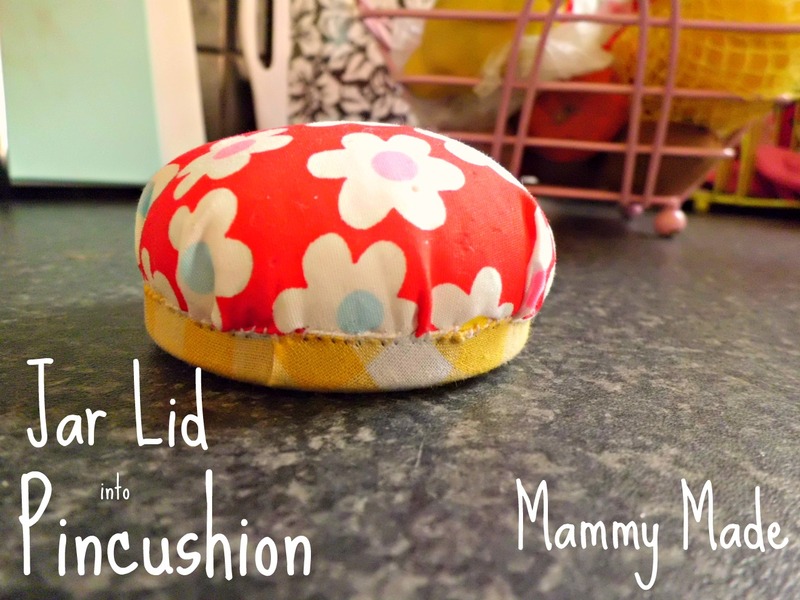 Anyway, it was totally gone so I got a new jar lid out, washed it, dried it (keeping TIGHT hold of it so I didn’t lose it) then took it in to make my pincushion. 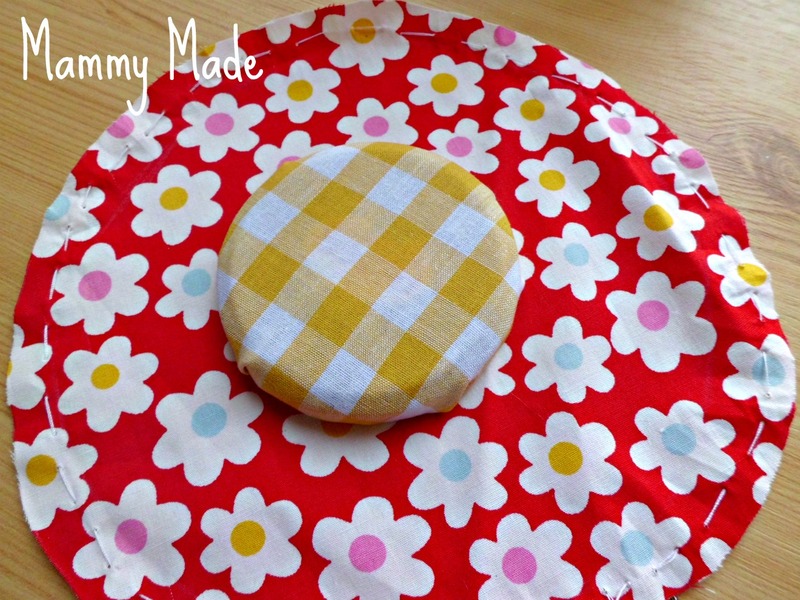 When I had it all finished, I went back into the kitchen and my original jar lid was sat right there on the draining board!! 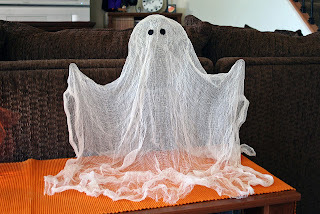 Yeh, I have a ghost that thinks it is hilarious to mess with my crafting stuff. Not cool, ghost, not cool! Take your jar lid and lay it out on top of material #1. Draw and cut a circle around it, making sure the circle is about 1″ bigger all around. 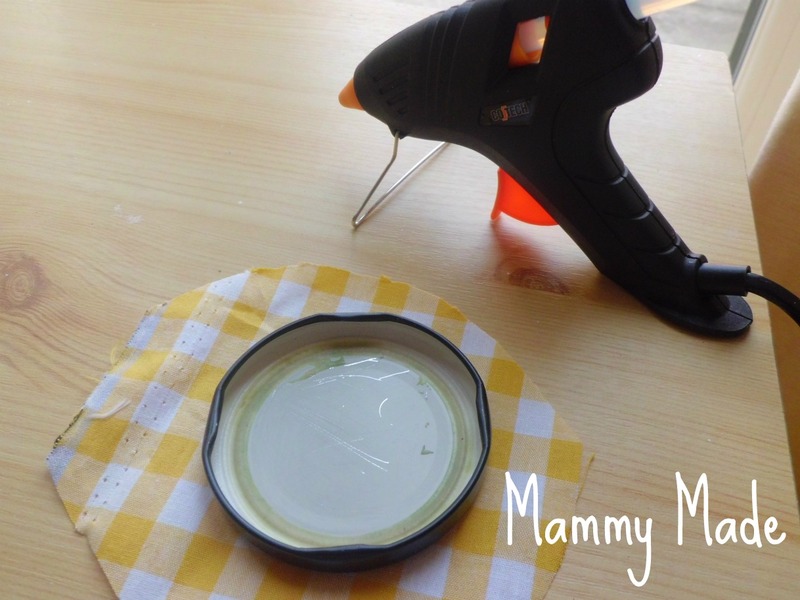 Squeeze some glue into the jar lid, going around the inside edge, then pressing the material down on it. 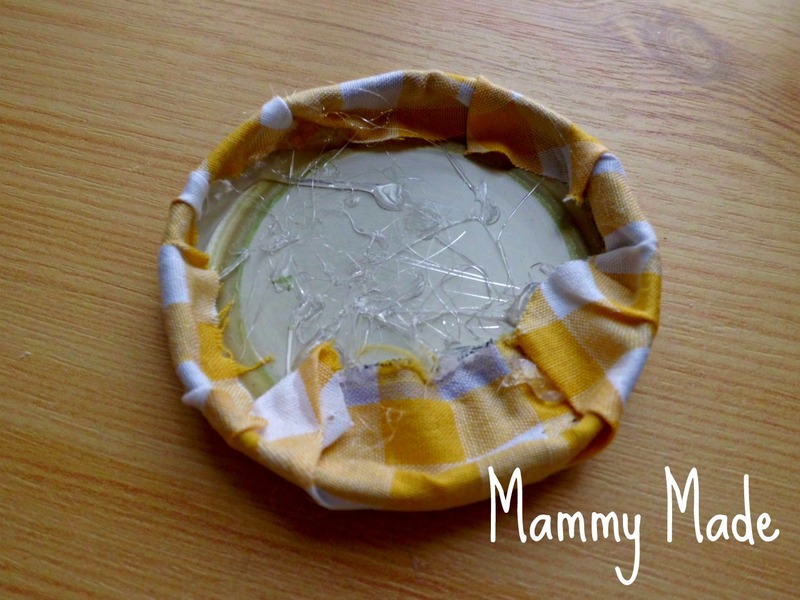 You want your material to be quite tight on the jar lid so make sure you pull it before you stick it. It’s fiddly but you’ll get it. 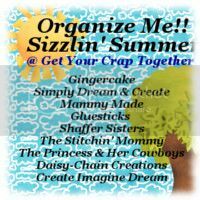 Your jar lid is done! It doesn’t look all that on the inside but that is going to be covered anyway. Next we’re going to make the middle pincushion part. 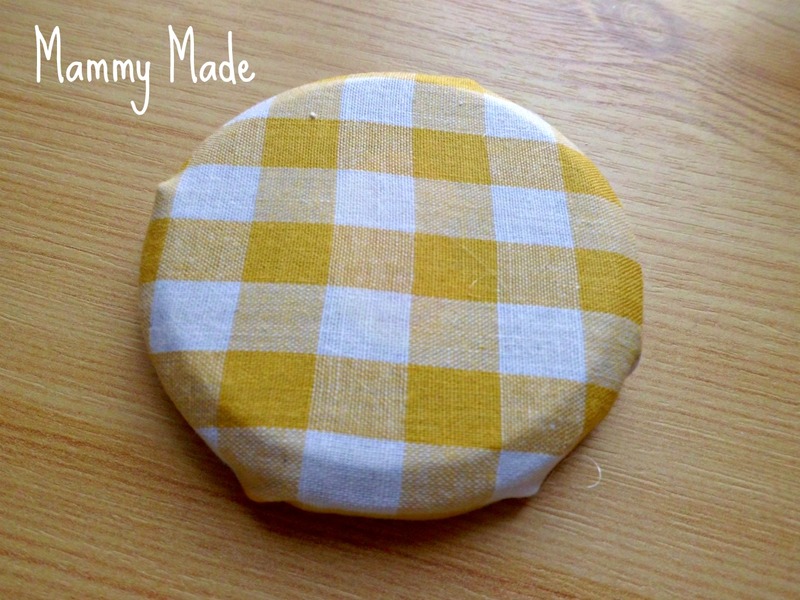 Lay your covered jar lid onto material #2 and draw out a big circle, about 3″ bigger all the way around. 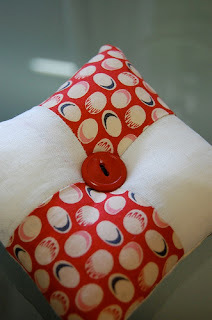 Do a line of running stitch all around the outside then pull up to gather. 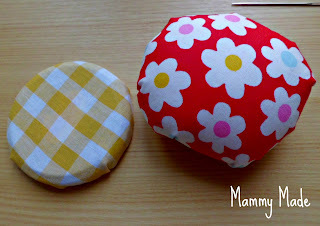 Add enough stuffing to make the pincushion very firm (fill it then add more, then more again, it needs to be very full!) Stitch the opening shut tightly. 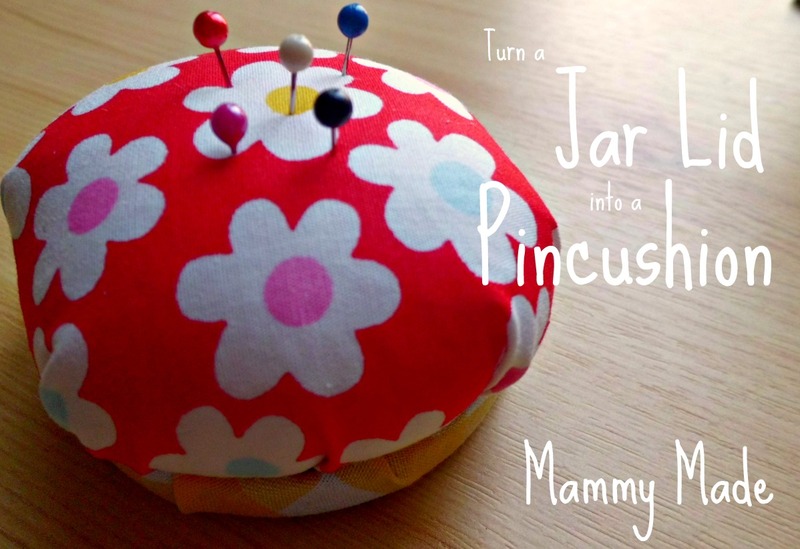 Squeeze some glue onto the bottom of the pincushion and press it tightly into the inside of the jar lid. Hold until it is fixed. If you have gaps around the outside edge, like I did, then you may want to take your needle and thread and do some stitches all around the edge to make sure it is totally secure. Fill it with your pins and you have a very cute little pincushion for all of your sewing needs! I'm passing the Sunshine Award onto you today, not just 'cause you totally spooked me out, but because I like your blog. 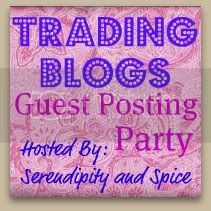 Come on over to Etcetorize to check it all out!